See the world! Meet interesting people! Give them experimental drugs! Regulatory editing brings you all that and more. Learn about this growing and fascinating niche and the challenges and rewards that come along with bringing new medications and medical devices to the market. Danielle St. Pierre helps pharmaceutical companies navigate the regulatory process to bring new drugs and medical devices to market. Novels tell stories with words. Illustrated books tell stories with words and static pictures. Graphic novels tell stories with words, artwork, lettering, sound effects, panelling, visual pacing, composition, and design. This workshop presents an overview of the unique storytelling conventions of this exciting medium and provides practical tools for addressing the challenges that can emerge during the editing process. 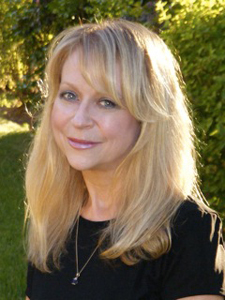 Editor, writer, and consultant Alison Kooistra is the past chair of the Toronto branch of EAC. She specializes in editing and adapting graphic novels. High reading levels in information can be a barrier for many Canadians. As writers and editors, improving information for those with low literacy means using plain language, specifically with an awareness of ESL challenges. The goal of this session is to highlight best practices for written communications for an audience with low literacy and limited English. This session will include discussion and hands-on activities to illustrate common errors and fixes. Attendees will test their knowledge and apply what’s been learned by looking at real writing samples. This session is aimed at writers and editors who produce information for the public. The goal is to teach specific skills to enhance the clarity and readability of text for low-literacy and limited-English readers after doing a traditional plain language edit. 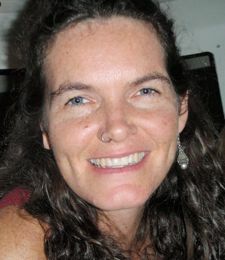 Claire Foley is a freelance editor and expert in plain language. She has been editing for 13 years and previously taught ESL for many years. 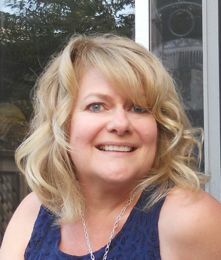 Tracy Torchetti is the senior manager of information at the Canadian Cancer Society, where she manages a team responsible for developing cancer information. Her background is in medical anthropology and adult literacy. The future of publishing includes an enormous growth in the number of self-published books. And this in turn means everything wonderful for freelance editors’ futures. In this panel discussion, listen to the experts discuss the rapid growth of self-publishing, what this can mean for your career, how to get a piece of the action in this expanding niche, and best practices for working with self-publishing authors. Leave with ideas for a new direction in your editing career. Experienced editor Arlene Prunkl has worked almost entirely with self-publishing authors for a dozen years, gaining valuable experience in this burgeoning niche that she’s eager to share. Donna Dawson, CPE, has edited 16 self-published nonfiction books on topics ranging from personal growth to business transition. She has been a freelance editor since 1996. 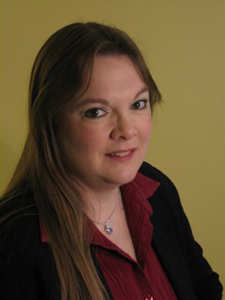 Vanessa Ricci-Thode is a freelance editor and published author specializing in genre fiction. She is active within EAC and helped launch the KWG twig. The life of a managing editor is busy—assigning stories, managing authors, hiring freelancers, ensuring deadlines are met, editing, answering emails—sometimes all at once! It can be a hectic job, and looming deadlines don't make it any less hectic. How do you get everything under control without losing your mind? What are the challenges you're up against? Find out how to keep yourself organized to keep yourself sane. Brooke Smith has worked in the magazine industry for more than 10 years. She began copy editing at FASHION and Chatelaine. She is now managing editor of Benefits Canada. 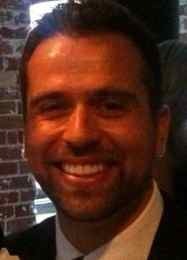 Robert Steckling is a technical writer, editor, and writing instructor with more than 15 years of experience working in the financial and IT sectors. This practical discussion will focus on bilingual editing. Panellists will consider best practices to ensure translations are accurate, appropriate for the audience, and of the highest quality. The session is open to translators and non-translators alike, but attendees should have an understanding of both languages. Lesley Cameron is a freelance editor and translator (French to English), though editing is her main occupation. She lives and works in Maple Ridge, BC. 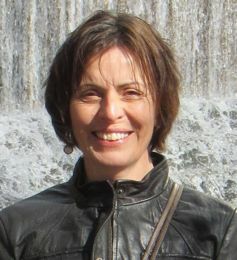 With a background as an English-French and Spanish-French translator, Marie-Christine Payette started editing professionally in 2011 and loves it. Recently she has been doing work in comparative editing and has learned a lot, adding to her background of linguistic skills. Au Canada anglais, toutes les principales maisons d’édition scolaires publient du matériel en français-langue-seconde. Au cours de cette séance, nous discuterons de ce créneau de langue française dans le monde de l’édition anglophone, du marché des ressources en français-langue-seconde, du rôle des réviseurs francophones, des possibilités qu’offre ce domaine et des défis particuliers qui touchent ce secteur de l’industrie de l’édition. Caroline Kloss a œuvré pour plusieurs maisons d’édition scolaires au cours des 23 dernières années, dans le cadre de divers projets de français-langue-seconde pour le primaire et le secondaire. Tanjah Estelle Karvonen est rédactrice et traductrice trilingue (anglais, français, espagnol) depuis plus de 17 ans. Ses spécialisations sont : le français, l’espagnol et les études sociales. Elle a travaillé pour plusieurs maisons d’édition scolaires au Canada et aux États-Unis. Élaine Gareau cumule 17 années d’expérience en enseignement du français-langue-seconde et 14 années à titre de réviseure et traductrice à la pige.